A UK couple is telling would-be parents not to give up on their dream of having children in an inspiring video that documents their struggle to conceive. Jade Hartley and Brett Crisp want a YouTube video of their IVF journey to give hope to others struggling with fertility issues. Jade created the video to remember her difficulties as she tried to conceive. “Around four years ago we decided we wanted to start our own family,” she writes, but, “unfortunately last year I was told I wouldn’t conceive naturally”. Jade says the news was “devastating and hard to deal with” but tells her viewers not to give up hope: “You never know what tomorrow might bring”. 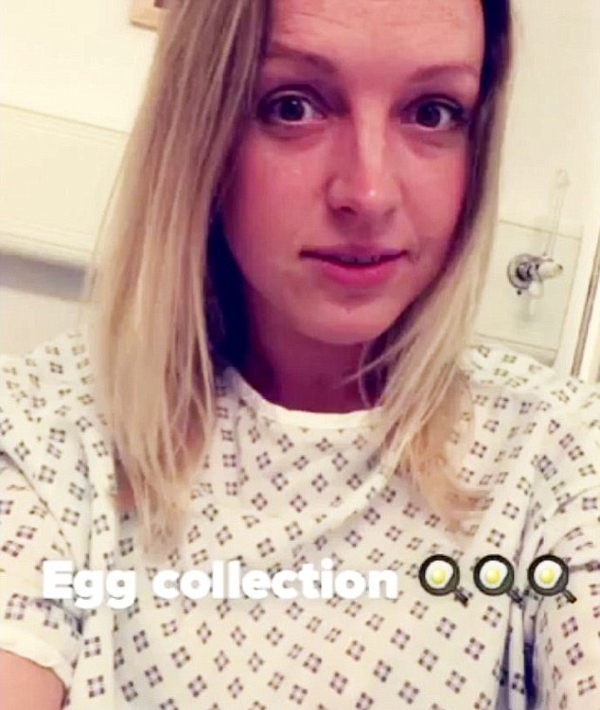 The video, also posted to Facebook, shows the numerous medical appointments, the countless injections, painful side effects and the news they had been waiting for – a positive pregnancy test. There’s even beautiful footage of grandparents being told about the baby, due on April 9, 2016. The video has now been watched more than 3.6 million times.